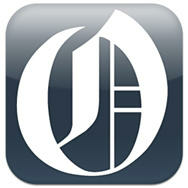 Attached is an article I wrote that was published in the Oregonian on February 12, 2012. I have filed a lawsuit in the Oregon Court of Appeals challenging the constitutionality of certain PERS regulations. A primary issue in the case is whether Oregon judges who have a substantial financial interest in PERS can decide PERS cases. From 1945 through 1983, Oregon judges had their own independent retirement plan and were not in PERS. As a result, they had no financial interest at stake in PERS cases. Effective Jan. 1, 1984, the Oregon Legislature made all persons who became judges for the first time after 1983 automatic PERS members. Persons who were judges before 1984 were given a choice: remain in the independent retirement plan, or join PERS. All judges, whether they joined PERS or remained independent, were required to make a 7 percent contribution to their retirement plan. The new law, however, provided that if a judge joined PERS, the people of Oregon would pay that judge’s 7 percent contribution. If a judge did not join PERS, that judge would have to pay his or her own 7 percent contribution. That provision imposed a 7 percent penalty on every judge who elected to remain independent on PERS matters. In 1992, the Oregon Supreme Court decided the Hughes v. State case, one of the first major PERS cases decided after the judges joined PERS. In Hughes, the court acknowledged that all of the justices were PERS members and that each of them had a financial interest in the outcome of the case. The court then held that the rule of necessity required it to decide the case despite the otherwise disqualifying financial conflict of interest. The rule of necessity applies when it is impossible to find any judge who does not have the same conflict of interest. I have no doubt that Oregon judges try to prevent their personal financial interests from influencing their decisions in PERS cases, but I believe the people of Oregon are entitled to more than that. We are entitled to have PERS cases decided by independent judges, just like those cases were decided from 1945 through 1983. Human nature prevents anyone, no matter how capable or dedicated, from ignoring his own personal financial interests. That is why independent judges have been recognized as a fundamental right of the people since the Magna Carta was first signed in 1215. In my opinion, if judges are PERS members, Oregon law requires temporary judges who are not PERS members to be appointed to decide PERS cases, and I’ve made that argument. This is the first time that specific issue will be considered by an Oregon court. In all PERS cases after 1983, use of the rule of necessity was not questioned and that issue was never raised. PERS laws impose a tremendous financial burden on the people of Oregon. The doctrine of fundamental fairness demands that PERS cases be decided by independent judges. My lawsuit is intended to restore that right to all Oregonians. Attorney Daniel C. Re lives in Bend. This entry was posted in fundamental fairness, Oregon judges, Oregon legislators, Oregon PERS, PERS Pick Up and tagged fundamental fairness, Oregon judges, Oregon legislature, Oregon PERS, public employee retirement system. Bookmark the permalink.